The Montagna professional school in Vicenza is where Daniela began her technical and cultural growth, attaining her dress designer and fashion stylist diploma, a professional qualification which though once uncommon, was considered extremely prestigious. Her passionate interest in fashion and her inborn creativity in designing the clothes she herself wore, were the fundamental elements that led to her first employment in a small textile firm in Thiene (Vicenza). It was there that she progressively acquired professionalism, from the original idea to the finished creation, mastering all the production stages. She rose to become an executive in this firm, which had in the meantime continued to grow, with a count of 180 employees. Her professional contribution to this concern is of the utmost importance; this is where some of the best-known brands are manufactured, such as Guy Rover, Clara Cottman and Pimlico to name but a few, collaborating with world famous stylists like Miuccia Prada and Patrizio Bertelli, Ermanno Scervino and Massimo Alba as well. She has subsequently faced a new challenge, deciding to concentrate on a totally personal project, giving birth in this way to “Studio Di Cinque”, manufacturer of Blanc Kelly, a very well-known brand in Belgium that specialises in the manufacture of top-quality garments. Besides all this, Daniela manages to combine with it an associative commitment as Chairperson of Vicenza’s Federmoda Cna. 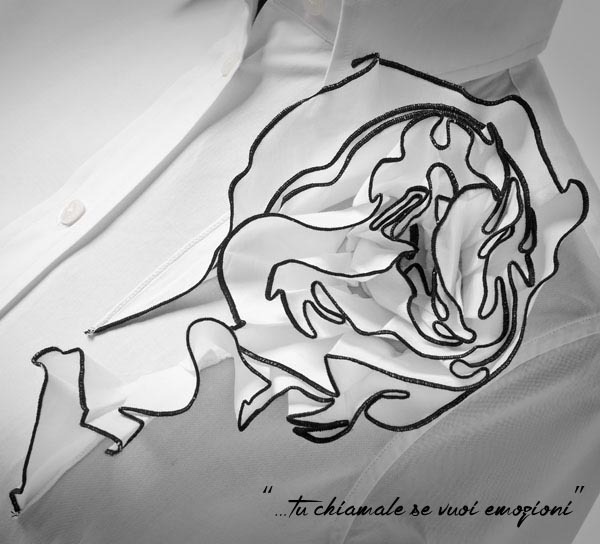 Right now, a new project is absorbing Daniela’s creativity in the form of DANIELATH, a brand that encompasses a life time of experience in the field of top line shirt manufacturing. Meticulous attention paid to elegance, to the fine balance of detail, the choice of exclusive fabrics, quality finishes, wearability aiming at maximum comfort and thought dedicated to packaging designed to harmonise with the product; all strictly, and proudly.